God Eater 3 was announced last week, and Bandai Namco already has a set of screenshots to share with us for the new title. This batch of screenshots focus on God Eater 3’s gameplay elements, as well as a few shots of some monsters. God Eater 3’s release date is to be announced. After finishing development on GE2 Rage Burst, the team had to rethink on the appeal of God Eater series and what their users are desiring. 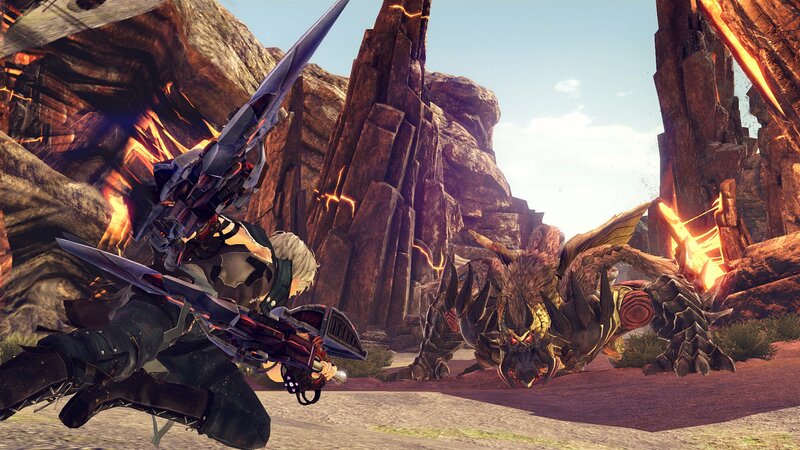 After looking at the responses, the team faced a condition where the current God Eater has detached quite far away from what the fans have been really desiring. Although they will obviously take God Eater 3 to an evolution, the team (Tomizawa in particular) has been looking for market prospects including foreign expansions, because both GE2 Rage Burst and GE Resurrection had been highly valued overseas. The team also decided to go back to the original gameplay of God Eater where players should feel good on fighting enemies at a speedy pace. God Eater 3 will take place after GE2 Rage Burst, in the vicinity of Fenrir headquarters (which is located in Finland). However, as of God Eater 3‘s timeline, the headquarters will be already ruined, and the overall world settings, as well as the positions of God Eaters, will have changed greatly. We have no current release date for God Eater 3 yet, but we will keep you informed when we learn more!